Wood has traditionally been used to improve sound quality in musical instruments. With this in mind, Skullcandy came out with their Holua earbuds line. Skullcandy advertises the Holua as being distinct from other earbuds in the market because the earpieces’ shells are made entirely out of real wood, thus improving the acoustics and overall listening experience. But does this difference in material really translate to a difference in sound quality? The Holua look fairly generic for earbuds, which is surprising considering that they’re a Skullcandy product. Each wooden earpiece shell has a thin metal ring running around its circumference, and there is a small engraved Skullcandy logo on its outward face. A major feature missing from the Holua, however, is a “left/right” marker on the earpieces. This is very problematic, since mixing up the two earpieces is not only slightly uncomfortable for the user, but also distorts the sound. The only way to tell which earpiece goes where is the integrated microphone, which is located on the right cable halfway between the shell and the Y adapter piece. This microphone, which was tested using a Blackberry Curve, iPhone, and an iPod Touch with Skype, proved to be the highlight of these earbuds. Voice quality using the microphone was surprisingly clear and consistent on all three devices. 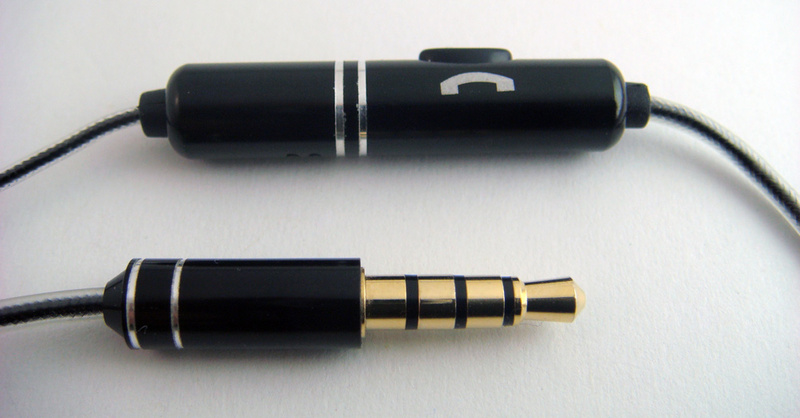 The microphone itself is roughly an inch long and has a single button with multiple functions. Pressing this button once will answer an incoming call, a single press during the call will mute the conversation, and holding this button for a few seconds will end the call. This button acts as a pause/play button when the earbuds are attached to an iPod. I found this function surprisingly handy when I had to pause my music to talk with friends, since it meant I didn’t have to reach into my pocket to fiddle around with my iPod. Unfortunately, the button did not pause or play songs on my iTunes when I used the Holua headphones with my two year old MacBook. My only gripe about the microphone would be that it felt a little awkward and out of place while I was using the earbuds with my iPod, mostly because of its size. As a result, I would not suggest these earbuds for people who aren’t planning to use them with a mobile phone. The Holua were surprisingly comfortable. A variety of different-sized rubber and foam tips are included in the packaging in order to accommodate as many ear shapes and sizes as possible. This was a very wise decision by Skullcandy, as having the right size tip determines both the user’s comfort as well as the sound quality (more on this later). I usually can’t stand wearing earbuds for more than an hour; they have a bad habit of giving me both headaches and earaches. However, with the Holuas I was able to listen to music for upwards of three hours without noticing any discomfort. The Holua did not fare quite as well with portability. I like to wrap my earbuds around my iPod Nano to keep the cables from tangling when I’m not using them. These earbuds did not take very kindly to my doing this, mostly because of the cables are rather thick, roughly about twice the diameter of Apple iPod earbud cables. They are also made from a rather tacky looking plastic material, which, in addition to being fairly unattractive, had a tendency to slip off of my iPod and unravel the earbuds. I mentioned above that having the right size tip for the Holua earbuds was vital in determining the sound quality. I said this because I found during testing that the moment the earbuds slipped even a little bit out of place, the audio instantaneously became distorted by static. And these earbuds slipped a lot. A whole lot. I had trouble keeping them in place just walking to and from the grocery store. This is a serious design flaw, as these earbuds are partially marketed towards athletes who plan on using them during their workouts, which would presumably involve much more bodily movement than leisurely walking. 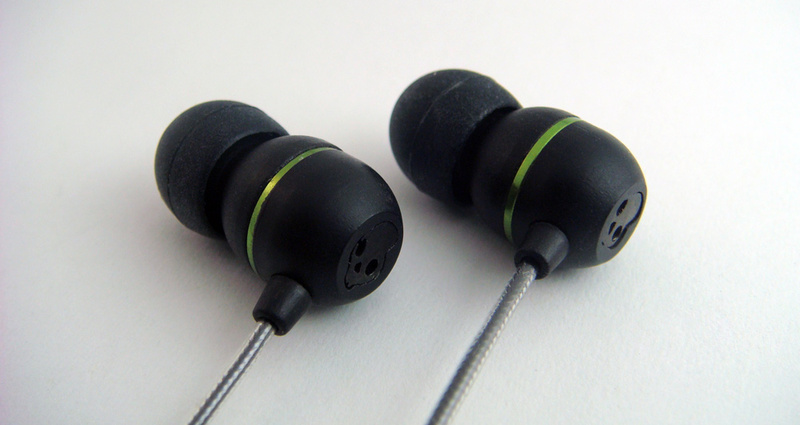 This sound quality problem was not just limited to slippage; distortion and static were a very common phenomenon with these earbuds. On top of this, the Holua seem to have a fundamental balancing problem. It is easy to see the roll off in the frequency response in this chart from Headroom: there is a huge drop-off at only 3kHz, meaning that any sounds above 3kHz are at a lower volume than the frequencies below this mark. This results in virtually no upper mid-ranges and highs, which adversely affects the overall sound quality produced by these earbuds. I found that the sound quality seemed to fluctuate dramatically depending on the genre of music playing. The Holua are very bass-intensive, so genres such as hip-hop, pop, electronica, and even some bass-heavy rock songs fared decently. Also, any song that featured distortion had that distortion amplified. Lady Gaga fared particularly well with these earbuds, as did Akon, Ladytron, She Wants Revenge, and MGMT. However, any song that did not focus on distortion or bass sounded almost painfully bad. Classical music, coincidentally performed primarily on wooden instruments, sounded distant and scratchy; even Vanessa Mae and her electric violin, which I had guessed would fare better than her acoustic counterparts with these earbuds, was overly distorted. Heavy rock and metal was the worst, however. Every fast-paced guitar rift was painfully distorted, and at times even sounded muffled, like the music was coming from another room in my apartment was opposed to earbuds pushing up against my eardrums. System of a Down and Metallica would weep after hearing how these earbuds utterly bastardized and defiled their songs. Overall, the Skullcandy Holuas are a complete and utter disappointment. I will admit, the microphone was a nice addition, and the earpieces were very comfortable and promoted long-term usage. However, I can’t ignore that the most important feature of any earbud set, the sound quality, is inconsistent at best, downright atrocious at worst with these earbuds. The Holua, which Skullcandy claims “sound good…really good” actually sound no better than the significantly cheaper $20 headphones offered by the exact same company. And they’re asking for five times that price! The MRSP for the Holua is $99.95, which is completely outrageous. You can find them for $55 on Amazon, however this is still double what you could be paying for similar sounding headphones. When it comes down to it, you’re paying over $50 for two pieces of wood that do absolutely nothing to improve sound quality. If you’re a diehard Skullcandy fan, and are willing to lay down this kind of money for building material that add nothing aesthetically or technically to these headphones, then by all means buy the Holua. Otherwise I implore you to look elsewhere, possibly the Sennheiser-Adidas CX 680 or Audio-Technica ATH-ANC3. Yo i bought these of ebay at $40, they sound like slightly improved ink’ds ($20 skullcandy standard buds) to me. the mic doesn’t work with computers, which was not mentioned. Actually Jason, if you know much of anything about computers, all modern PCs and Macs have TWO 3.5mm inputs. One for audio output from the computer, and one for audio input into the computer. So you CAN use the mic, just not with the earphones at the same time. OR, you can use the earphones, just not the mic. This is the same with ALL headphones with a mic in the same jack. Look at it closely: it has THREE different sections, as opposed to standard headphones without a mic that only have two dividers(Left and Right stereo sound). There are thousands of other earphones that have split jacks made for computers, Skullcandy even makes one! Ugh, by the looks of this review, these are a surprising disappointment for Skullcandy. Perhaps even the company realizes this, as I haven’t seen the Holua’s heavily promoted for awhile now.